Natura Formulas Creatine will help you increase your overall workout intensity, which means you will achieve higher level of muscle growth. Our Creatine Monohydrate will allow you to keep pushing hard in the gym at a time when you would have previously had to decrease the load or stop entirely, so this supplement is GUARANTEED to boost your strength and power, which in turn will help to grow your level of muscle mass. The more often you can train your muscles, without over-exercising, the better and faster they will grow. Our Creatine Monohydrate will help you increase the recovery rate of your muscle cells to help you train more frequently without getting hurt or overworking your muscles. Since the recovery time rate increases, this allows you to train at higher frequency and you will achieve more muscle gain. Natura Formulas Creatine Powder will help you increase your overall workout intensity, which means you will achieve higher level of muscle growth. 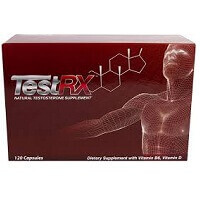 This is the topmost trusted bodybuilding Supplement taken by athletes and bodybuilders around the world to boost muscle strength, power, and size when combined with exercise. Creatine Monohydrate will allow you to keep pushing hard in the gym at a time when you would have previously had to decrease the load or stop entirely, so this supplement is GUARANTEED to boost your strength and power, which in turn will help to grow your level of muscle mass. Natura Formulas Creatine Monohydrate Powder is 100% Pure, manufactured in the USA and in a GMP and NSF certified facility. UNFLAVOURED and MICRONIZED for fast absorption – Our Micronized Creatine particles are 20 times smaller than other creatine monohydrate supplements. It dissolves FASTER in water, protein shakes or juices and absorbs QUICKLY in the stomach. * Highest Quality – Manufactured in the USA and in a GMP and NSF certified facility. * 100 servings – 500 grams | A full 3-month supply. * Micronized for fast absorption. * Unflavoured, easily dissolvable with any delicious drink. * No Artificial Ingredients – No Fillers, No Binders, No Preservatives. 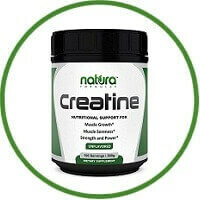 When you purchase our Natura Creatine Monohydrate powder, you will be getting the purest creatine. Therefore, you get your perfect body without compromising your health with the untested and dangerous additives that are so often sold to you by the big firms.